Jeff Bezos, Amazon founder and CEO, announced in September that he&apos;s dedicating half of his new $2 billion Bezos Day One Fund toward creating schools for children under 5 years old nationwide, which could make him the top philanthropic funder of early education. On her solo visit to Africa in October, Melania Trump distributed soccer balls, tote bags filled with school supplies, and teddy bears emblazoned with her signature “Be Best” logo to impoverished schools and community health centers. More than one critic noted the disconnect between her charitable impulse and President Trump’s budget proposals, which would slash aid to Africa by up to 30 percent, including basic education, maternal and child health programs, and the Global Fund to combat AIDS, tuberculosis, and malaria. But the kinder, gentler Trump is not the only one whose altruism dims a bit under scrutiny. Thanks to the over-concentration of wealth at the very top of the income scale, a new class of mega-rich donors is driving philanthropy, nearly usurping the role of democratic governments to decide what social ills to tackle and how. 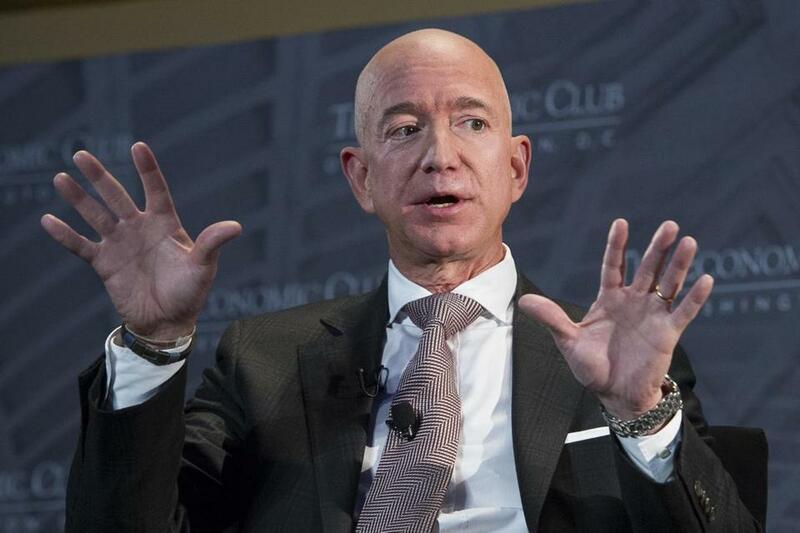 Amazon’s Jeff Bezos popped some eyes this fall with his pledge to spend $2 billion to help homeless families and improve early childhood education. Last month, Michael Bloomberg announced he will give $1.8 billion to his alma mater, Johns Hopkins University, targeted to undergraduate financial aid. Bill Gates, Mark Zuckerberg, Michael Dell, and other tech titans have given over $1 billion each to their own charitable foundations. It’s positively Scrooge-ian to begrudge such largesse. But you have to wonder if this latest symptom of economic inequality isn’t privatizing the social compact, and if the wealth amassed through corporate tax cuts, stock buybacks, and the like wouldn’t be more beneficial if it were spread around, say, as wages. Over-reliance on a handful of top donors has obvious risks for the nonprofit sector. Funds are more likely to go to a few pet projects or sophisticated institutions — such as hospitals, museums, and universities — than to smaller, local, less buzz-worthy causes. Donations tied to the whims of one or two major givers are less reliable year to year. Charities might even tweak their mission to fit the interests of the generous few. There is some evidence that smaller, individual donors are stepping up, thanks to the power of social media. Giving Tuesday — the web-based cleanse after the consumerist gluttony of Black Friday and Cyber Monday — raised a record $380 million this year from 4 million individuals. But the super-rich still dwarf the impact of these initiatives; the average donation on Giving Tuesday was $147. Because they are so influential, the preferences of mega-givers can tilt the board. Research from Boston College has found that these new benefactors take a more entrepreneurial approach to charity than their rich uncles did. Rather than give to traditional groups such as the Red Cross, this generation wants to experiment with new approaches to social problems. As Anand Giridharadas writes in his book “Winners Take All,” they are drawn to the splashy gesture rather than systemic change: the difference, he writes, between funding one awesome charter school and a quality public education for all. Plus, all that high-impact giving frees the new rich from their responsibility as public citizens. Indeed, Bezos aggressively challenged a Seattle employee tax that would have raised $47 million to combat — you guessed it — homelessness, until the City Council repealed it less than a month later. The truth is, even huge donations can’t replace broad-based public investments in social welfare. Maybe if our society were organized differently — if CEOs did not earn 312 times the mean employee pay in their own companies; if we did not exempt the first $7 million in inherited wealth from any tax at all; if real wages for 80 percent of American workers weren’t stagnant for the past 30 years — we’d have a real opportunity society. Maybe we wouldn’t need the Bezos billions to make sure everyone could afford a home.